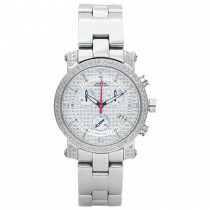 1 7/16 in (36 mm) not including crown. 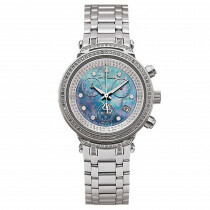 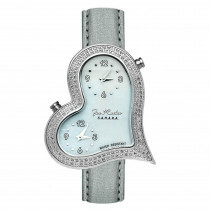 This Joe Rodeo Beverly ladies diamond watch features 1.35 carats of sparkling round diamonds, a polished, water-resistant silver tone stainless steel case and a blue mother of pearl dial paved in white stones with both Arabic and Roman numerals on it. 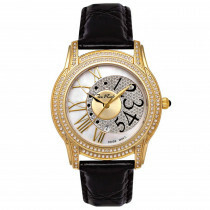 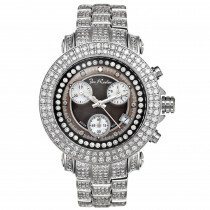 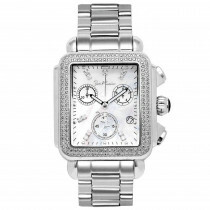 This Joe Rodeo diamond watch showcases white round cut diamonds around the bezel and on the lugs. 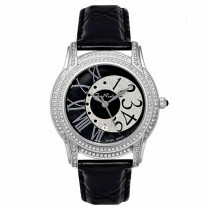 The fine Swiss-made quartz movement will accurately keep time for you. 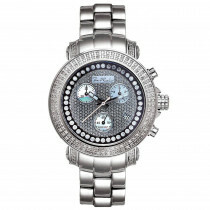 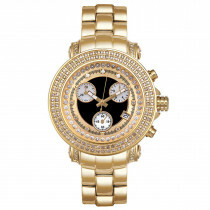 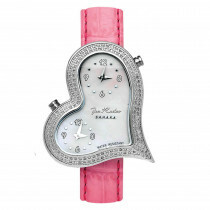 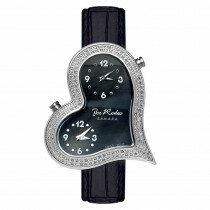 This Joe Rodeo diamond watch comes with two extra interchangeable straps; and makes a great gift for any occasion.